As we reported in last week’s episode, small towns across Canada were elated at the promise of Tailings Pond Beer refineries and bottling plants and the jobs that would come with the new factories. Harper himself was rubbing his hands in anticipation of a fifth election win. But to curb competition from other tailings pond owners and to keep the price down, Harper authorized Temporary Workers to be discretely introduced across the country in the Harper Beer Company factories. Tailings Pond Beer Now on Tap! 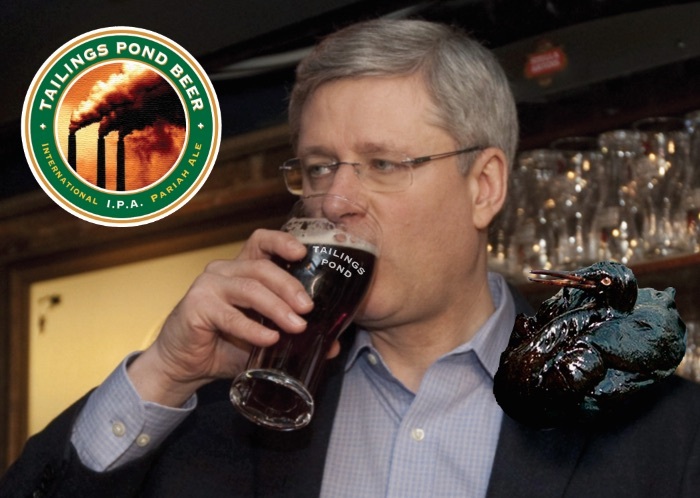 In the second episode, Prime Minister Harper got approval from the Conservative Caucus for his Canada-saving brainstorm: Tailings Pond Beer (TPB). 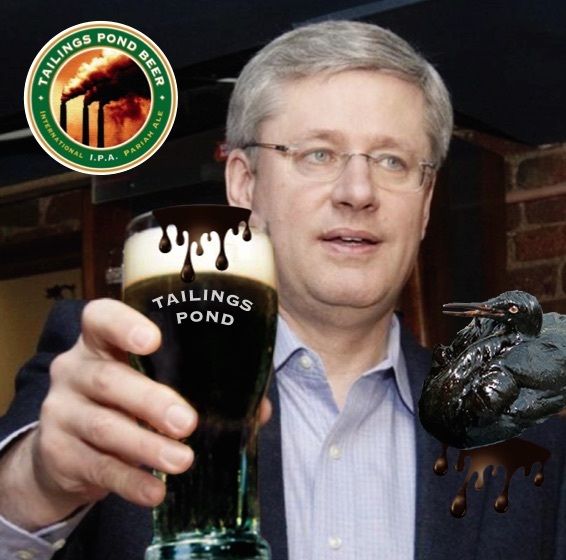 In the first episode of the Tailings Pond Beer series, Harper decided that since the economy is doing so poorly because of falling oil prices, Tailings Pond Beer would solve all his problems.